Beginning a new academic year is an incredibly exciting part of a student's life. Students go through a varied range of emotions while they prepare for the upcoming year at their respective schools or colleges. They spend a considerable amount of time in preparing themselves and getting themselves ready for the next few months. Students also put a lot of research into finding the best set of tools and services for the academic year, such as apps to help students manage their class schedules, apps to help students study better — apps to help students prepare for the academic year ahead. Meet John Owens, a sincere and ambitious student who'll soon begin his academic year 2018 starting in September. This is John's second year at school, and he has been very excited over the last few weeks, running around preparing for the big year ahead. He has been using an iPhone for a few years and has just purchased a MacBook Pro to help him at school. The previous academic year was very valuable in terms of experience, and it taught a lot of new things to John. For this year, John is aiming to be far more productive and punctual than last year. He is smart enough to know that an Apple device is only as good as the apps you have installed on it, and John has taken the help of a fantastic resource by his side. This year, John has the entire suite of Readdle's apps installed on his iPhone and Mac, and he's not just confident that it's going to be an amazing year at school, he's also optimistic that it's going to be a super productive one too. 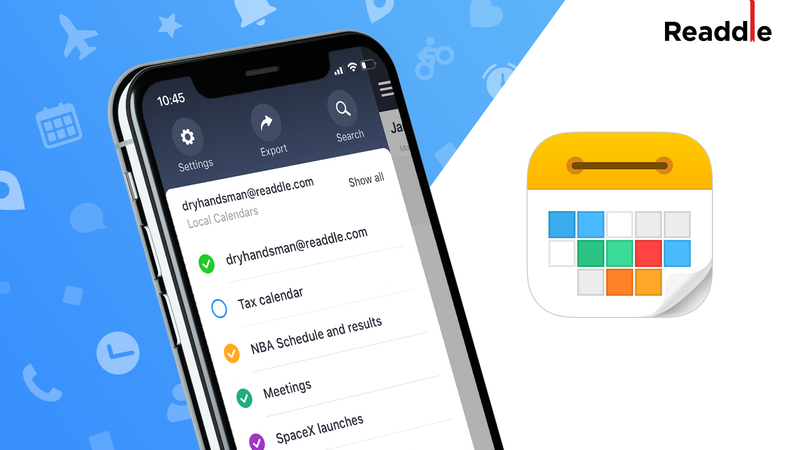 Here at Readdle, we offer an incredible collection of apps for iOS and Mac that help our users save time and get more productive with the use of technology. All our apps are designed to be fast, elegant, easy-to-use and excel and getting the job done for you. Let's take a closer look at how Readdle's apps help students, teachers, and other educators power through the upcoming academic year 2018 and see how John is confident about the situations where Readdle's apps are going to help him. A vital part of going through the academic year is research. There's a lot of studying involved, and students have to read a lot of books and papers. It's no surprise that many students are then often found at the library, deep diving into a thick stack of books. Our friend John here is sitting in the school library reading a thick reference book, and he has just come across a very interesting section that contains in-depth information about a topic that he thinks will be an essential reference for him later. If you were in such a situation, what would you do? Most students would likely take their phone out and quickly take a photo of the content so that they can reference it later. Nifty, right? There's just one problem. The photo is saved in your phone's Camera Roll, among the hundreds of other photos and selfies you have. What if there was a much better way to scan books and documents digitally? Detects the document edges and crops out all the unnecessary area. Detects the content type and smartly applies the necessary image filter, so your document looks crisp and clean. 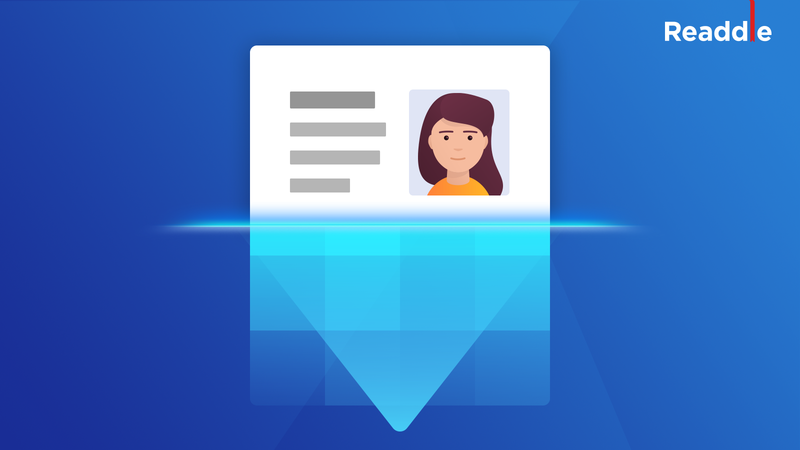 Detects the text content it finds on the document using its Automatic Text Recognition capabilities, commonly known as OCR (Optical Character Recognition). With Scanner Pro, John will still be taking a photo like the other students, but the result is a PDF or JPG document that isn't just an exact replica of the real thing, it's something that John can quickly share with his friends, create copies of, or start editing or annotating right away. The app also allows you to automatically upload and store your scanned documents on online storage services, so everything that John scans through the app is being saved automatically to his iCloud and Google Drive account. Scanner Pro is an incredibly powerful scanning app that is sure to help you in your academic year. In any given academic year, students have to read a lot of textbooks. It was common to see students carrying around big, thick textbooks a few years ago and it absolutely isn't fun lugging around that much weight around. Thankfully, there are digital versions of textbooks available today, weighing in at just a few KBs or MBs, that students can carry around on their smartphones or tablets. John here carries around all his textbooks in an app called PDF Expert. PDF Expert is Readdle's incredibly powerful, robust, and feature-rich PDF Editor app for Mac and iOS. 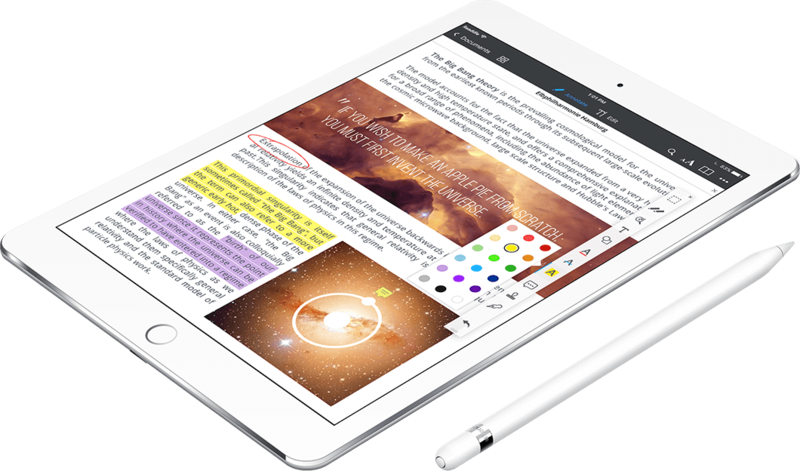 PDF Expert offers a complete experience for students to manage, read, edit, annotate and export PDFs as and when they need. It is one of the most crucial apps that John uses in his toolset. Using PDF Expert, John stores multiple PDF textbooks and neatly organize them into folders just the way he wants. It is effortless to add and store PDFs in PDF Expert, and with its robust search capabilities, John finds precisely what he is looking for. The app lets you search not just in the file names, but also in the file content. John hates the reading off of the bright Retina screen of his MacBook Pro, so he has customized how PDF Expert displays PDFs for reading. Because a majority of John's reading is for his textbooks, John prefers using the Sepia theme in PDF Expert during the day, and the Night theme when he's back at the dorm room studying in the after hours. John knows that the advantage of using digital textbooks is best experienced in PDF Expert. While reading a textbook in PDF Expert, John quickly annotates using the available tools (such as highlight markers) and quickly takes notes directly on the content. The app works great on both his iPhone and Mac, and automatically syncs his content across the devices. All the annotations that he adds in PDF Expert are non-destructive, so he can save these annotations separately or flatten the file if he needs to. 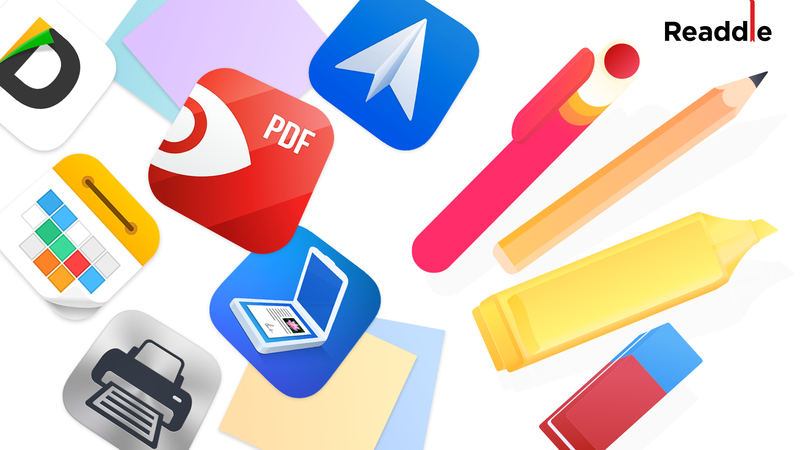 PDF Expert also integrates seamlessly with Readdle's Documents 6 — the best iPhone and iPad file manager for iOS. John uses Documents 6 to have better control over the files stored on his iPhone. And since Documents 6 also integrates with online storage services, he can easily access all the scanned copies of books that he auto-uploaded to his iCloud and Google Drive account and open them directly here in PDF Expert for annotating and taking notes. A seamless experience between Scanner Pro — PDF Expert — Documents 6 is something that John really admires. Go ahead, start storing and reading your PDF textbooks in PDF Expert. You'll love it! There are tons of options available today that let you communicate with your family, friends, peers, and classmates. In spite of the rising number of apps and services, Email has remained a strong, robust, reliable, and independent method of communication in all these years. There are different ways in which you can access your email from anywhere, and also keep changing email clients whenever you want, without worrying about losing your email conversation history. The core medium of communication has consistently been in use for several decades now. Thus, it's no surprise that many schools, colleges, and universities still prefer conversing via Email only. In fact, many universities even provide email addresses to its students for official use. It's assignment time, and John has just been grouped with four others to work on a class project over the next few weeks. This is a public-facing project and involves reaching out to a few dozen businesses for a brief survey and consolidating feedback from each of the businesses. Each of the group members has been assigned different tasks to complete, and different research to carry out. For such a project, John knows that communication is ‘key' and hence, John recommends that his group members start using the Spark mail app. Spark is Readdle's feature-rich email client that has exceptionally-awesome features for Team communications. John creates a team in Spark and invites his group members to it, using the university provided email address. Now, when John and his group receive an assignment related email, they can share the email thread directly with other members of the group without having to manually forward it to them and create unnecessary copies. The group members can also internally comment on the responses received from the businesses before responding. John has just received an email from his teacher that she needs a status report of the assignment by "Wednesday next week." Since Wednesday is still nine days away, John doesn't have to worry about this email yet, and so John just uses the ‘Snooze' feature of Spark to temporarily ignore the email, but be reminded about it on Monday evening at 8 PM. This lets John focus on more important things in the meantime. It's now Tuesday, and the group has to send out the status report to their teacher. For this, John creates a new Draft in Spark and invites his group members to collaborate on it. With this, the group can collectively compose the status report and each of them can add inputs into the same email, instead of all sending out individual emails to the teacher. 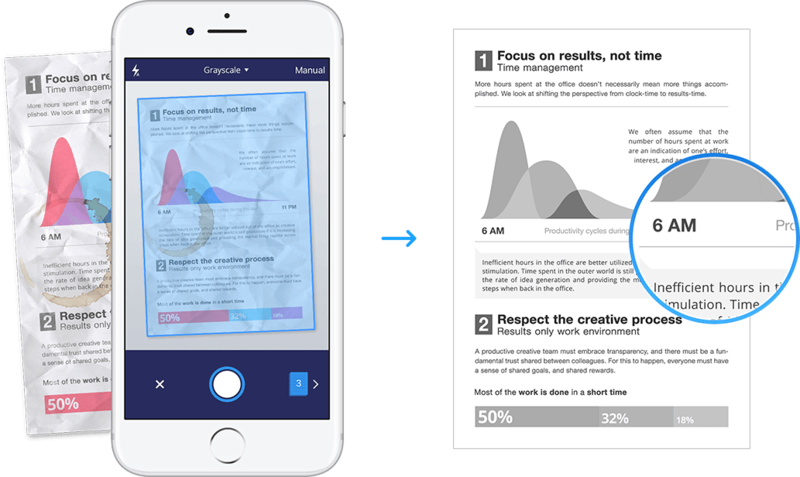 Spark also works great with the other Readdle apps that John uses, so you can open a PDF attachment from your email directly in PDF Expert, edit or annotate it and send it off in a single, seamless flow. When John and his team receive an attachment via email that they want to save, they can save the attachment directly to Documents 6. Spark for Teams works just as well for small groups and is an incredibly robust tool for students and educators. John, our hero, is still a student, so he has to attend classes and learn everything that's being taught in school. But John being John, he has a lot of activities happening through the day that keep him busy and occupied. Apart from attending classes, John also spends time at the basketball court practicing his skills, attends an additional foreign-language class for some extra-curricular goodness, and ends his week volunteering at the local old-age home. So he's got a lot on his plate. 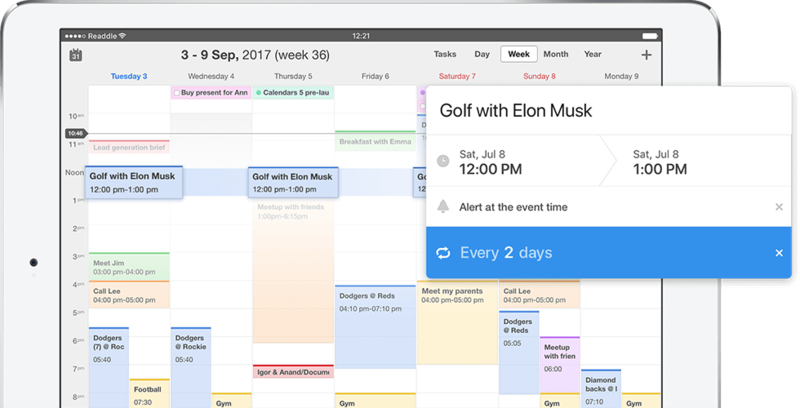 John keeps his schedule in check by using Calendars 5 — Readdle's phenomenal calendar and planner app. He adds a schedule of all his classes using natural language, so he's reminded about what's the plan for the day every morning and he can pack accordingly. John adds the entire schedule for the week in Calendars 5, so he can glance at the entire week's plan together. For shared tasks, such as the assignment above, John invites his group members so they too can keep track of upcoming due dates for the assignment. Since Calendars 5 works with accounts from different providers, John can use the same account in Spark for Teams, which also supports a built-in Calendar. Any action that John has to relate to email, he can do within the same app. Calendars 5 is an incredible tool in the Readdle toolset and it works great with the other apps too. After having worked really hard on it for two straight weeks, John and his group have now submitted the assignment to their teacher. Just like they sent out the status report, the group collaborated on the draft in Spark mail app when sending the assignment email to her, which included a PDF summary of all the surveys the group conducted through the two-week course. John is smart, so the group chose to send out the summary in a PDF instead of a Word Doc, so that the teacher gets to view their work in exactly the same way that the group intended to. Of course, John isn't the only hero in the school. John's teacher is also a modern educator working in 2018 and understands the value of productivity that Readdle's apps provide. The Teacher is using Spark mail app on her iPad Pro and when she received the notification from the group, she immediately launched Spark to view the assignment. Now, Spark mail app will open the PDF attachment directly for viewing, so that the teacher can easily go through it right on her iPad, without worrying about which app to open it in. However, the teacher has to grade the assignment and give feedback to the students. So with a single tap, she opens the attachment in PDF Expert, so that she can annotate on the file using her Apple Pencil. She writes a note, adds the marks to it, leaves a comment, adds her signature, and again with a single tap, the file is attached as a reply to the original email. This seamless integration between PDF Expert and Spark Mail app is one of the many productivity boosters you can enjoy when you start using Readdle's apps for the upcoming school year. All of Readdle's apps have been updated and are now ready for the school year. Go ahead, download all of them using the links below and get ready for your school year like never before. And let us know in the comments what's your favorite use-case of using Readdle's apps. Here's a list of all the Readdle's apps, so you can download them and prepare yourself for the 2018-2019 academic year.